February 3rd, 2002. The day of Tom Brady’s first Super Bowl victory. Exactly 17 years and six Super Bowl victories later, here we are in the present day. 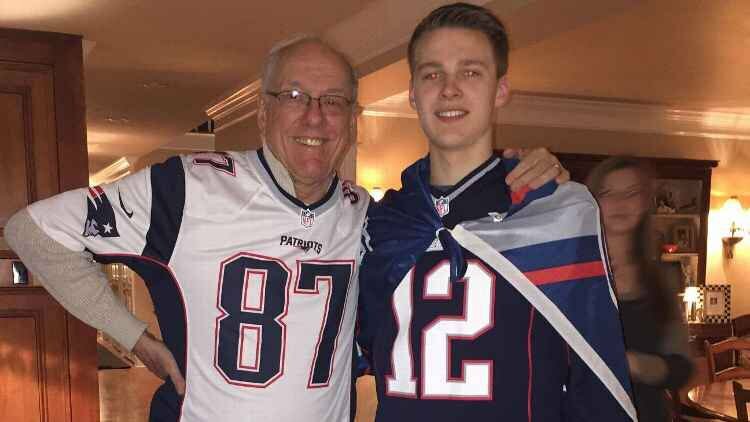 In fact, it appears that Jim Boeheim and his sons were witnesses to the Pats’ sixth championship down in Atlanta. A lot has changed since Brady’s first championship. 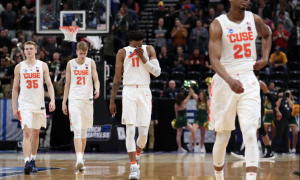 The country has had three presidents, Twitter and Facebook didn’t exist and Syracuse basketball was still seeking its first national championship. Tough to imagine what life was like back then. 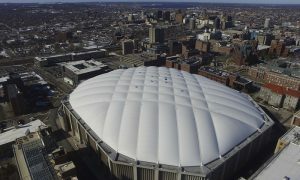 Certainly a lot has changed in that time for Syracuse basketball. 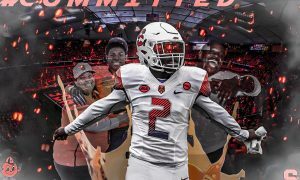 Here are the seven most influential moments for the Orange since a sixth round pick out of Michigan climbed the NFL mountaintop. Currently, Hopkins is experiencing one of the fastest coaching rises in the game. 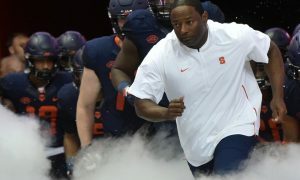 Once in line to the be the next head coach at SU, Hopkins bolted to Washington after the announcement that Jim Boeheim’s contract was getting extended instead of his presumed retirement. You can’t blame either party. 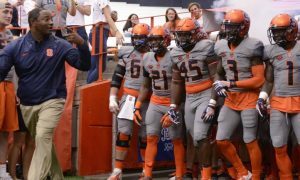 Syracuse re-upped its Hall of Fame coach who built the program up from the rubble. Meanwhile, Hop was way above the paygrade and talent level of a 22 year assistant coach. It was time to move on. There’s no reason to rule out a potential return to Syracuse once Boeheim actually does retire. And Hopkins success would put him at the top of the Orange’s list when that time does come. He won PAC-12 Coach of the Year in his first year as a head coach. 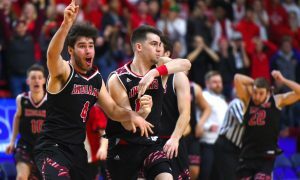 Now, he has the Huskies way atop the conference at an undefeated 9-0 in league play and the inside track at an NCAA Tournament bid. Not to mention the fact that he just landed a top five player in the country in Isaiah Stewart to haul his bags cross-country to Seattle. 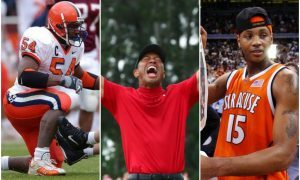 Of the Orange’s three Final Four runs since Brady’s championship run, this was the most unlikely. It involved a little bit of everything. A monster sweat on Selection Sunday, facing a 15 seed in the second round and a comeback for the ages. 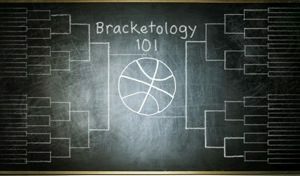 This is arguably Boeheim’s best coaching job. He blended young talent with seasoned vets to wipe out the noise en route to becoming the first ever 10 seed to reach the Final Four. The ripple effects from this shoot in every which direction. From Boeheim announcing that he was going to retire (and ultimately reneging), to a reduction in scholarships and of course snapping a streak of six straight tournament appearances. This clouded the future for SU. Of course it was going to scare recruits. There were limited spots for the Orange to dole out at the time for the foreseeable future. 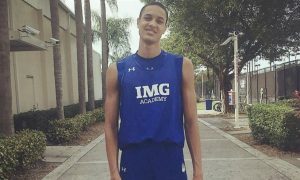 There was a plan in place at head coach, but the prospects of playing for Boeheim certainly perks recruits ears up more than Hopkins. 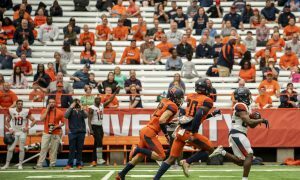 It’s brought Syracuse to a shaky point in recent years. 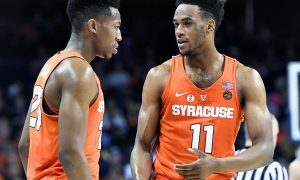 The Orange has made amazing runs since the ban, but has never entered the tournament better than a 10 seed and has sweat out each Selection Sunday since, including missing the tournament in 2017. 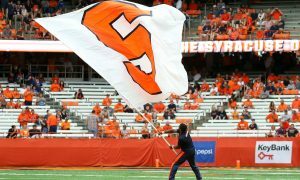 On the heels of Penn State’s controversy, Syracuse itself dealt with a molestation scandal in the early 2010s. While Fine was vindicated of legal charges, the case cost him his job. 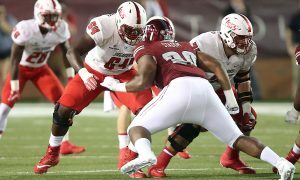 It marked a giant change for the program. Fine’s tenure at SU lasted from 1976 to 2011. He was Boeheim’s right hand man, and for all we know he might still be on the staff now in 2019. 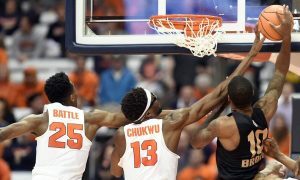 Regardless, this marked a dark time in the Orange’s program history. The bomb ESPN dropped on the community and later admitted to lowering its journalistic standards during the story process of Fine was damning to the network and changed the framework of the program. 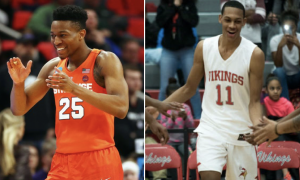 The Orange’s move to the ACC signaled the death of the Big East. A conference that embodied rivalries, tradition and entrepreneurship was gone. 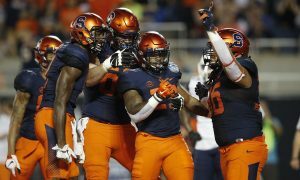 Gone are the days when Syracuse’s matchups against Georgetown and UConn add extra juice. 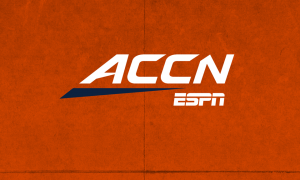 Enter highly anticipated games between SU and the likes of Duke, UNC and Virginia. Things just feel different. 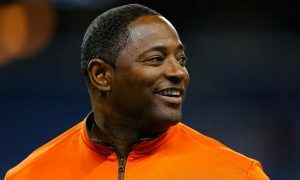 The Orange is the stepson of its new conference whose respect rests on the profile of its head coach. 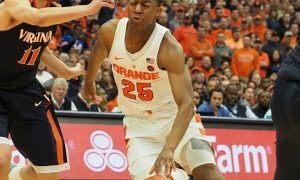 Without Boeheim, how will the Orange be viewed in the ACC? It certainly will be interesting once we see the day. Being from Baltimore, Melo could have stayed home and joined a Maryland team that was peaking. After consecutive Final Fours, including a national championship the year before Anthony went to SU, the Terps were certainly an easy sell to one of the nation’s top recruits. But the future NBA star decided to blaze his own path. He joined the Orange and the rest is history. 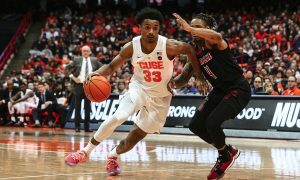 Anthony compiled arguably the greatest freshman season in NCAA history (which ironically may be eclipsed by Duke’s Zion Williamson this year). Melo’s 22.2 points per game and 10.0 rebounds showed he was well beyond his years. 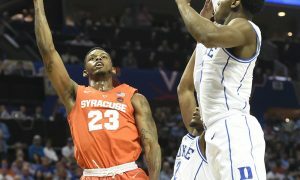 He never scored under 13 points in the NCAA Tournament and put together a 33 point game against Texas to send SU to the national championship. 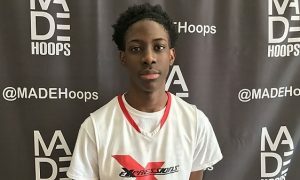 It all culminated in Anthony being named the tournament’s Most Outstanding Player. 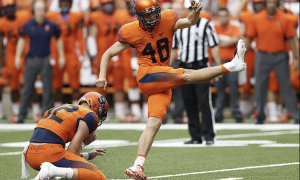 He brought a swagger to the school’s national persona and changed the Orange for good. There’s no number one on this list without number two. 2003 got the monkey off Jim Boeheim’s back. 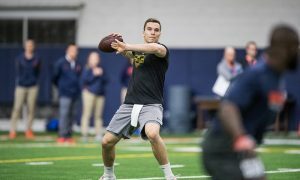 The combination of elite college talent, future pros and future stars got the Orange to the promised land. 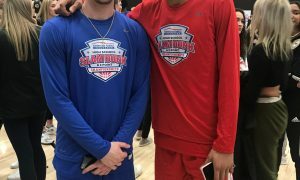 It’s no doubt that Jim Boeheim cutting down the nets after topping Kansas in New Orleans marks Syracuse’s most influential moment the program has had since Brady hoisted his first Lombardi Trophy. Great as Coach Boeheim has been, he did not have to build a program “up from the rubble”. In the four years prior to him taking over, SU went to the NCAA tournament each year, including a Final Four appearance in ’75. Hardly in the rubble.